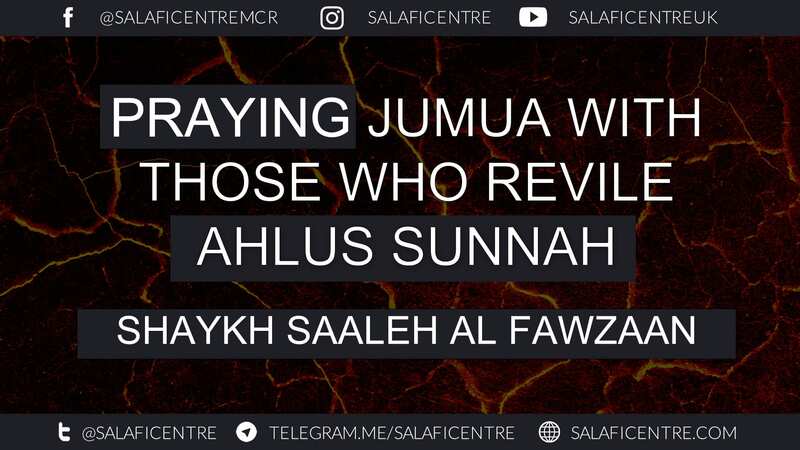 Q: Oh Noble Scholar – May Allah give you success – this questioner also says, my job is far from my house – a distance of 140 km, And there is a masjid where I pray the Friday prayer, but the khateeb reviles Ahlus Sunnah wal Jamaa’ah, is it allowed for me to leave the Friday prayer in this masjid, knowing that there are other masaajid, but they are far from my workplace? 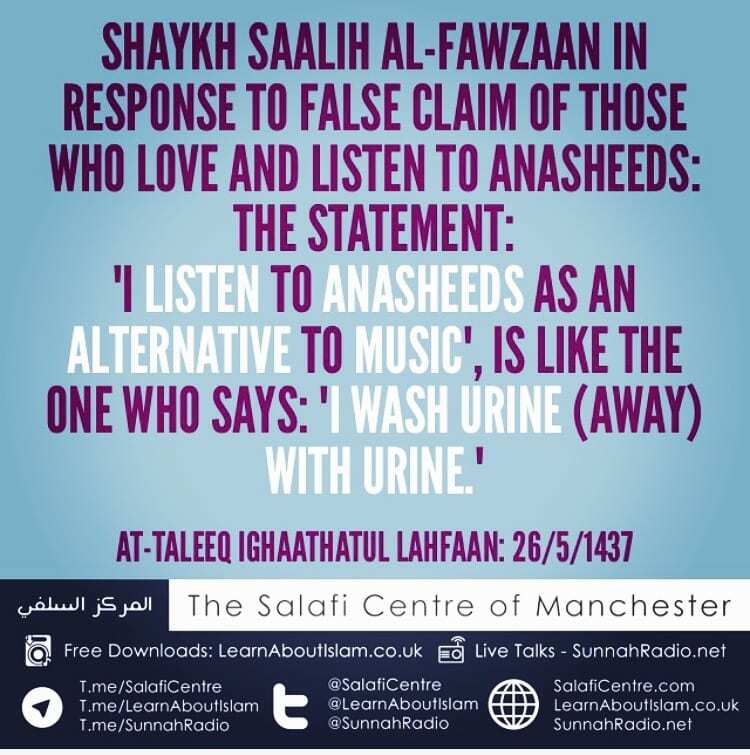 A: Do not pray with him whilst he reviles Ahlus Sunnah wal Jamaa’ah. This is a great evil, do not pray with him. 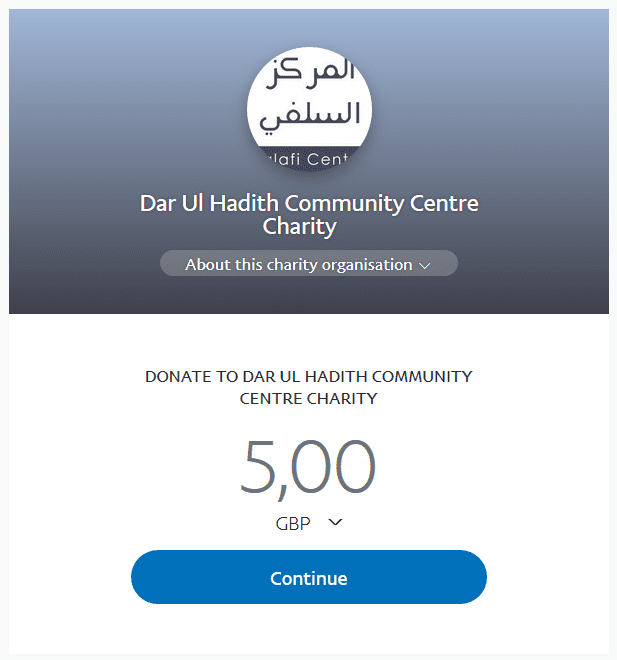 Pray it as dhuhr*, pray it as dhuhr, do not pray it as jumu’ah, except if there was near you another masjid, that you can pray in, and there isn’t any reason prohibiting that, then pray in there, N’am. In our country, we know that every act of worship must have an intention for it. 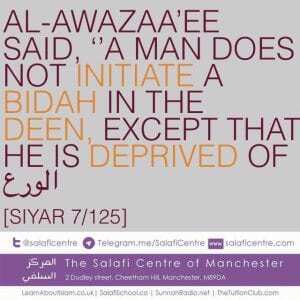 Due to this, then it’s a must to pronounce the intention before commencing the prayer (or any other act of worship). 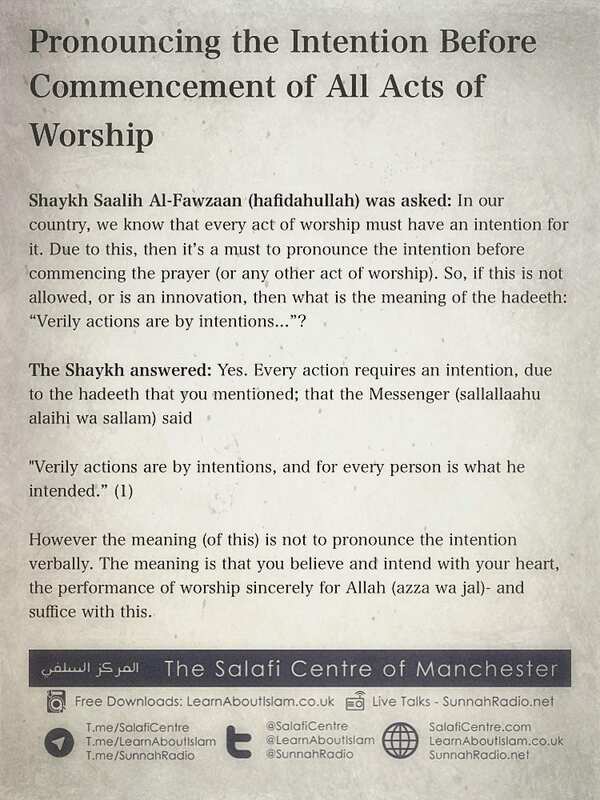 So, if this is not allowed, or is an innovation, then what is the meaning of the hadeeth: “Verily actions are by intentions…”? However the meaning (of this) is not to pronounce the intention verbally. The meaning is that you believe and intend with your heart, the performance of worship sincerely for Allah (azza wa jal)- and suffice with this. Therefore the place of intention is the heart and not the tongue. 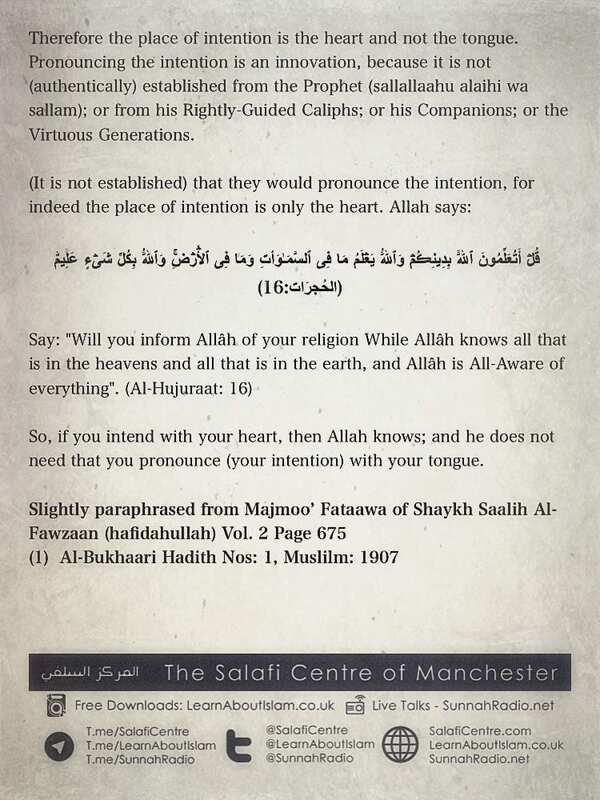 Pronouncing the intention is an innovation, because it is not (authentically) established from the Prophet (sallallaahu alaihi wa sallam); or from his Rightly-Guided Caliphs; or his Companions; or the Virtuous Generations. So, if you intend with your heart, then Allah knows; and he does not need that you pronounce (your intention) with your tongue. 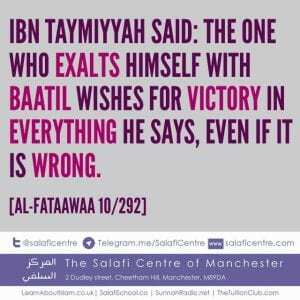 Ibn Taymiyyah said: The one who exalts himself with baatil wishes for victory in everything he says, even if it is wrong.